Highly rugged smartphone. It is dustproof and waterproof rated IP68 (on unspecified conditions). It is compliant to the US Military Standard 810G (MIL-STD-810G). It has dual SIM capability. It comes with a 3.5-inch multi-touch capacitive Gorilla Glass display with a HVGA resolution of 480 x 320. On the inside, it runs with Android Gingerbread (2.3.6) on a 800 MHz single-core processor, 512 MB of RAM, 512 MB of internal storage and a microSD card slot up to 32 GB. It sports a 5 MP autofocus camera with a LED flash. GPS receiver, FM radio, e-compass, pedometer, barometer and dedicated SOS button. Connectivity WiFi b/g and dual-Sim. It measures 126 x 65 x 18.2 mm, it weighs 212 g and its removable battery has a capacity of 1,780mAh. Highly rugged smartphone. It is dustproof and waterproof IP67. It is compliant to the US Military Standard 810G (MIL-STD-810G). It runs on AT&T's 4G-LTE data network. 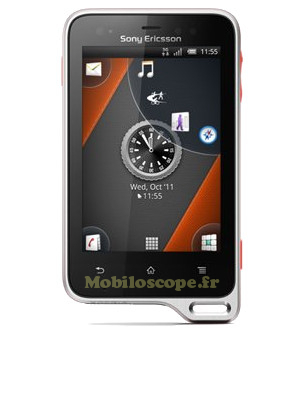 It comes with a 4-inch capacitive display with a resolution of 800 x 480. On the inside, it runs with Android ICS on a 1.5 GHz single-core processor, 768 MB of RAM, 8 GB of internal storage and a microSD card slot up to 32 GB. It comes with an Adreno 225 GPU. It sports a 5MP autofocus camera with a LED flash. Connectivity WiFi b/g/n 4G LTE and NFC. It measures 127.9 x 67.4 x 12.7 mm, it weighs 135.5 g and its battery has a capacity of 1,850mAh. Mid-range smartphone. It is dustproof and waterproof rated IP67. It has dual SIM capability. It comes with a 4.1-inch multi-touch capacitive display with a resolution of 800 x 480. On the inside, it runs with Android ICS on a 1 GHz single-core processor, 512 MB of RAM, 4 GB of internal storage and a microSD card slot up to 16 GB. It sports a 5MP camera. Connectivity WiFi b/g/n and dual-Sim. It measures 131 x 67 x 12 mm, it weighs 130 g and its removable battery has a capacity of 1,500mAh. Highly rugged smartphone. It is dustproof and waterproof rated IP68, it will withstand being submerged under 2 meters of water for 30 mn. It is compliant to the US Military Standard 810G (MIL-STD-810G). It is operational between -20°C and +60°C. It has dual SIM capability. It comes with a 3.5-inch capacitive display with a resolution of 480 x 320. On the inside, it runs with Android Gingerbread (2.3) on a 650 MHz single-core processor, 512 MB of RAM, 512 MB of internal storage and a microSD card slot up to 32 GB. 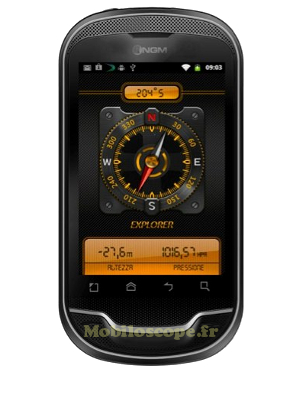 GPS receiver, FM radio, pedometer, e-compass, barometer and thermometer. It measures 127.9 x 65 x 17.4 mm, it weighs 207 g and its removable battery has a capacity of 1,780mAh. 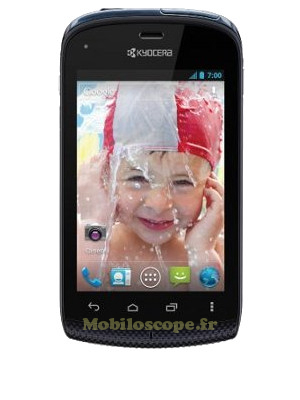 Mid-ranged smartphone, it is dustproof and waterproof rated IP67. It has dual SIM capability. It comes with a 4-inch multi-touch capacitive display with a resolution of 800 x 480. On the inside, it runs with Android ICS on a 1 GHz single-core processor, 512 MB of RAM, 4 GB of internal storage and a microSD card slot up to 32 GB. GPS receiver, FM Radio with RDS and accelerometer. It measures 126 x 65 x 10.5 mm, it weighs 138 g and its battery has a capacity of 1,500mAh. 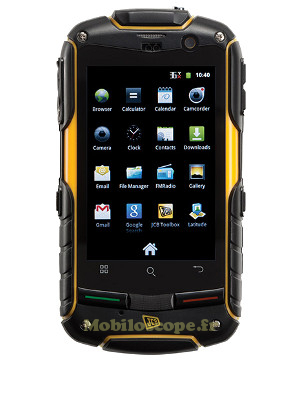 Waterproof and dustproof smartphone rated IP67 with a physical QWERTY keyboard and a good battery life. 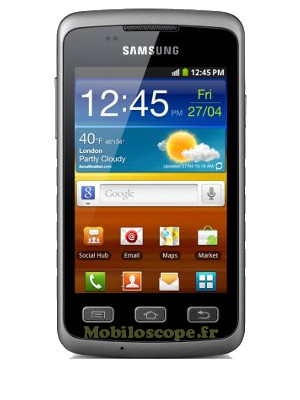 It comes with a 2.7-inch capacitive display with a resolution of 320 x 480. On the inside, it runs with Android Gingerbread (2.3.7) on a 1 GHz single-core processor, 512 MB of RAM, 1 GB of internal storage and a microSD card slot up to 32 GB. It sports a 5MP camera with a LED flash. GPS receiver, FM Radio and accelerometer. It measures 110 x 66 x 11.95 mm, it weighs 115 g and its battery has a capacity of 1,700mAh. Availability: United States and some other countries. 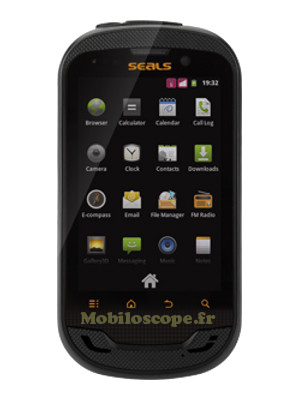 Highly rugged waterproof and dustproof smartphone. It is ruggedised with IP67 and MIL-STD-810G rating. 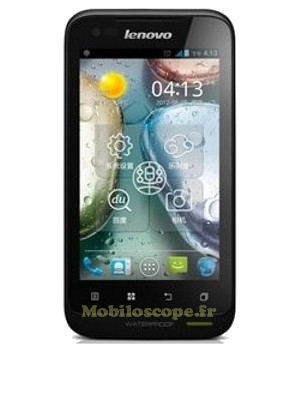 It comes with a 3.5-inch capacitive display with a WVGA resolution of 800 x 480. On the inside, it runs with Android Gingerbread (2.3) on a 800 MHz single-core processor, 512 MB of RAM, 512 MB of internal storage and a microSD card slot up to 32 GB. GPS receiver, G-Sensor, barometer, e-compass, gyroscope and thermometer. Connectivity: WiFi b/g/n and dual SIM. It measures 125 x 65 x 21 mm, its removable battery has a capacity of 2,000mAh. Similar models according countries: Durrocomm Oberon, Senselt P4, Rhino Mini and Techfaith Titan. Entry-level smartphone, it is dustproof and waterproof rated IP67. It comes with a 3.5-inch multi-touch capacitive display with a resolution of 480 x 320. On the inside, it runs with Android ICS on a 1 GHz single-core processor, 512 MB of RAM, 2 GB of internal storage and a microSD card slot up to 32 GB. It sports a 3.2MP camera with a LED flash. GPS receiver, accelerometer and e-compass. It measures 115 x 62 x 12,8 mm, it weighs 120 g and its battery has a capacity of 1,500mAh. Entry-level rugged smartphone. It is dustproof and waterproof rated IP67. It comes with a 3.5-inch capacitive display with a resolution of 480 x 320. It is scratch resistant and anti-glare. It supports touch operation using wet fingers. On the inside, it runs with Android Gingerbread (2.3) on a 1 GHz dual-core processor, 512 MB of RAM, 8 GB of internal storage and a microSD card slot up to 32 GB. GPS receiver, FM radio with RDS, accelerometer and magnetometer. Connectivity WiFi b/g/n and USB OTG (USB Host). It measures 111 x 60.3 x 9.8 mm, it weighs 110 g and its built-in battery has a capacity of 1,305mAh. 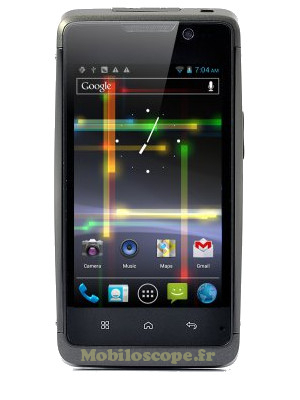 Highly rugged waterproof and dustproof smartphone rated IP67. It comes with a 3.2-inch capacitive scratch resistant display with a HVGA resolution of 480 x 320. On the inside, it runs with Android Gingerbread (2.3.5) on a 800 MHz single-core processor, 256 MB of internal storage and a microSD card slot up to 32 GB. GPS receiver, FM Radio with RDS. It measures 125 x 62.2 x 20.5 mm, it weighs 195 g and its battery has a capacity of 2,000 mAh. Similar models with dual SIM: Utano Barrier T180, Durrocomm T180 Utano, Fortis X, AGM Rock V5, Land Rover V5 and Discovery V5 (1 GHz). 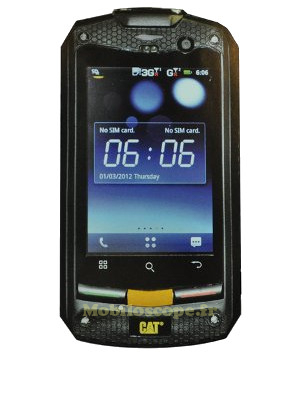 Highly rugged waterproof and dustproof smartphone rated IP67. It has dual SIM capability. It comes with a 3.2-inch multi-touch capacitive display with a resolution of 480 x 320. On the inside, it runs with Android Gingerbread (2.3.5) on a 800 MHz single-core processor, 512 MB of RAM and a microSD card slot up to 32 GB. It sports a 5MP autofocus camera. GPS receiver, FM Radio with RDS, accelerometer and e-compass. It measures 121 x 65 x 22 mm, it weighs 201 g and its battery has a capacity of 2,000 mAh. 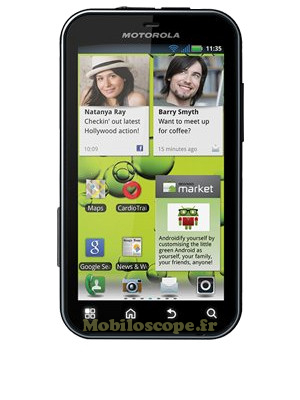 New version of the Motorola Defy with a more powerful processor and Android Gingerbread. 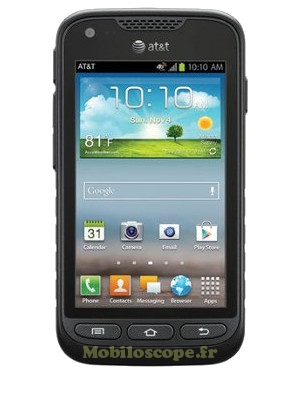 Rugged smartphone, it is waterproof and dustproof rated IP67. It comes with a 3.7-inch capacitive multi-touch Gorilla Glass display with a WVGA resolution of 854 x 480. On the inside, it runs with Android Gingerbread (2.3) with Motoblur on a 1 GHz single-core processor, 512 MB of RAM, 1 GB of internal storage and a microSD card slot up to 32 GB. GPS receiver, FM Radio, accelerometer and e-compass. It measures 107 x 59 x 13.4 mm, it weighs 118 g and its removable battery has a capacity of 1,700mAh. 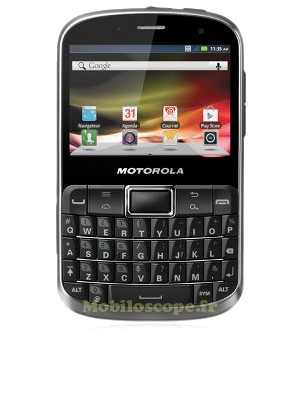 Mini version of the Motorola Defy with a less powerful processor, smaller display and Android Gingerbread. It is waterproof and dustproof rated IP67. It comes with a 3.2-inch capacitive display with a resolution of 480 x 320. On the inside, it runs with Android Gingerbread (2.3) on a 600 MHz single-core processor, 512 MB of RAM, 120 MB of internal storage and a microSD card slot up to 32 GB. 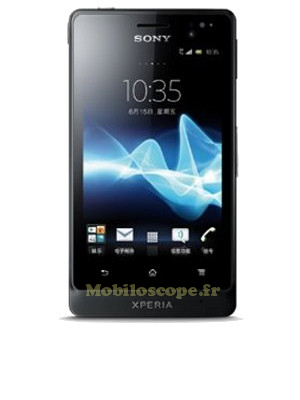 It sports a 3MP fixed-focus camera with a LED flash. It measures 109 x 58.5 x 12.5 mm, it weighs 107 g and its battery has a capacity of 1,650mAh. 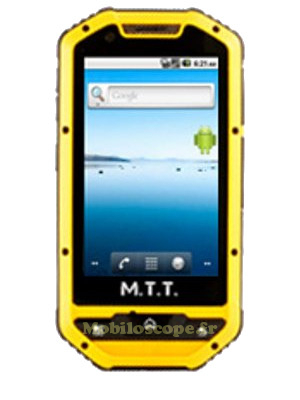 Waterproof and dustproof rugged smartphone, it is rated IP67. It comes with a 3-inch capacitive display with a HVGA resolution of 480 x 360. It is scratch resistant and supports touch operation using wet fingers. On the inside, it runs with Android Gingerbread (2.3) on a 1 GHz single-core processor, 512 MB of RAM, 1 GB of internal storage and a microSD card slot up to 32 GB. GPS receiver, FM Radio, ANT+, accelerometer and barometer. It measures 92 x 55 x 16,5 mm, it weighs 110.8 g and its battery has a capacity of 1,200mAh. Highly rugged smartphone. It is dustproof and waterproof rated IP67. It comes with a 3.65-inch multi-touch capacitive scratch resistant display with a HVGA resolution of 480 x 360. On the inside, it runs with Android Gingerbread (2.3) with Touch-Wizz on a 800 MHz single-core processor, 2 GB of internal storage and a microSD card slot up to 32 GB. 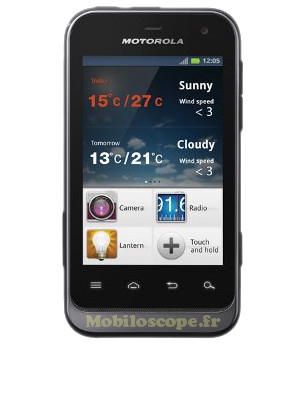 It sports a 3.2MP autofocus camera with a LED flash. It measures 121,5 x 65,9 x 11,95 mm, it weighs 135.5 g and its battery has a capacity of 1,500mAh.